A Premier Healthcare IT Solution Provider. IT solutions with you in mind. Where technology meets patient care. A live support staff will answer your call within three rings. Healtchare IT you can count on. MDFlow Systems is a premier Healthcare Information Technology (HIT) company. We utilize leading technologies to deliver comprehensive, integrated, strategic, customized and cost effective information systems and solutions to healthcare providers and organizations. For over a decade, we have set the standard for outstanding customer service coupled with our high quality information systems. Our proven track record, extensive experience and knowledge in the HIT field have allowed us to establish a reputation for stability and reliability. Our clients range from small physician practitioners who want to go paper-less to large national healthcare organizations that need enterprise wide healthcare information systems. MDFlow EHR System is an innovative internet-based and ONC-ATCB Certificated Electronic Health Records (EHR) and Patient Care Workflow Management System. It is designed with the patient’s care workflow in mind to help practices to streamline and enhance the flow of information throughout the patient's medical care lifecycle. MDFlow EHR system also offers a list of features specific designed for the staff-model medical groups with capitation contracts and sharing the risk with the health plans. 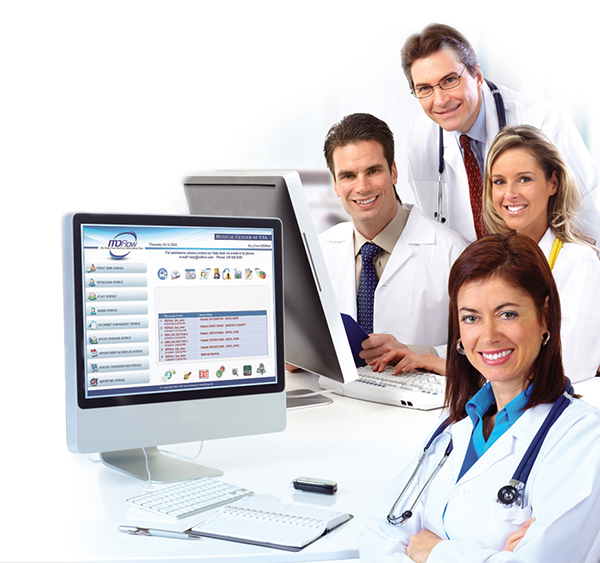 MDFlow Care Management System is a patient‐centric, integrated, easy-to-use and customizable internet-based population health managemenrt and case/disease management software. It streamlines and enhances the flow of information throughout the entire case management process. The patient care team has access to the case management tools and complete information to effectively and efficiently manage the comprehensive health care needs and deliver consistent and results driven outcomes. MDFlow Telemedicine & Telehealth Platform provides tools that empower healthcare professionals to communicate with their patients from anywhere via real-time audio/video and remotely monitor their patients’ health conditions. MDFlow Telemedicine & Telehealth feature is transforming the health care delivery system form face-to-face encounters into an interactive online environment. It improves healthcare outcomes and patient engagement by making the health care services more accessible.